The centre is open for use by all sections of the community. We have a range of rooms and offices available for use. Our current activities are shown below. 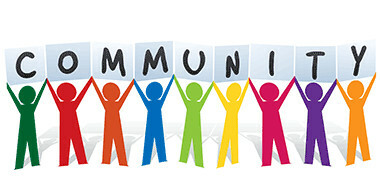 We are really keen to work with local residents and offer a wider range of activities at the centre so if you want to hire a room, have an idea for an activity or would like some help to set up a group in the centre please give us a call on (01429) 868008 and speak to one of our friendly team! Advice Session every Tuesday 9am to 12.30. Bingo Group which meets on a Monday and Thursday from 12.00 till 2.00. Chair Aerobics which meets every Monday from 11.00 to 12.00. Playgroup meets every Friday from 12 till 2pm, this is a parent led group. The cost is £1 per child, this covers the cost of materials and also provides snacks on the day. We have Youth Clubs running three or four evenings a week, depending on the age of the young person. Entry is 30p per session. For Juniors (aged 5 to 11) the session is from 4.30pm to 6pm, Tuesday, Wednesday and Thursday. For Seniors (aged 11 to 17) the sessions are held 6.30pm to 8.30, Tuesday, Wednesday and Thursday. There is also a focused session on Monday from 4pm to 6pm, specifically aimed at the senior group. For more information contact a member of our Youth Team on 01429 868008. The Community Cafe at Kilmarnock Road is open from 8am until 2.00pm serving specials every day, call in and have breakfast or lunch with us or just come in for a cup of tea.